The original monastery was founded here by Saint Brendan in 563 and it is here that the great navigating saint is buried. It flourished for many centuries, even through times of great invasions by the Danes who frequently sailed up the River Shannon from Limerick and attacked it. It was burnt down in 1016, 1164, and again in 1179. The monastery and most of the church were destroyed in 1541, and the monastery was not rebuilt after this final assault on it. In the year 1541, the Cathedral was almost totally destroyed, but it was restored by Bishop Wolley in 1664. The church had a Romanesque south transept, which is now in ruins, and a Gothic north transept, which has been removed. The earliest part of the church dates back to around 1180. 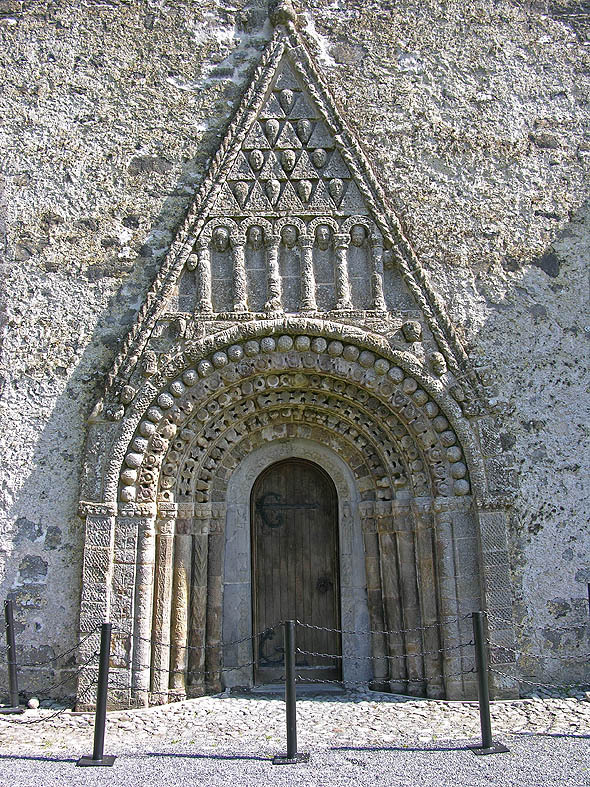 Its doorway is considered the crowning achievement of Hiberno-Romanesque style. It is in six orders, and has an amazing variety of motifs, animal heads, foliage, human heads etc. Above the doorway is a pointed hood enclosing triangles alternating with bizarre human heads, and below this is an arcade enclosing more human heads. 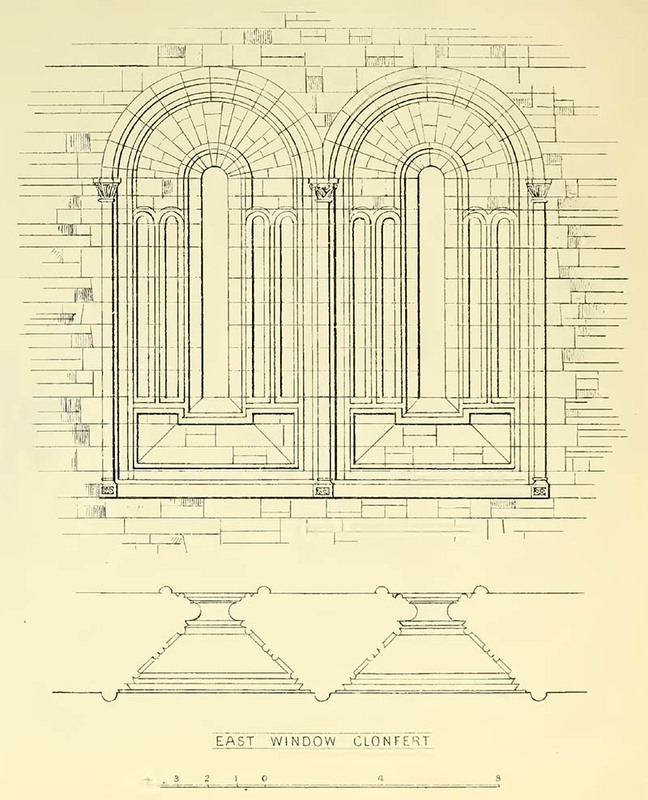 The early 13th century east windows in the chancel can be numbered among the best late Romanesque windows. The chancel arch was inserted in the 15th century, and is decorated with angels, a rosette and a mermaid carrying a mirror. The supporting arches of the tower at the west end of the church are also decorated with 15th century heads, and the innermost order of the Romanesque doorway was also inserted at this time. The sacristy is also 15th century.